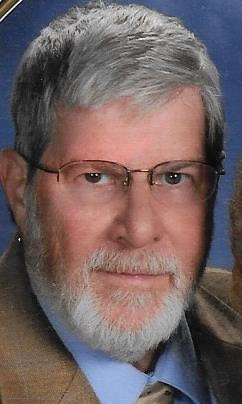 Louis Stiglitz, 76, a carpenter and master gardener, died peacefully at Overlook Hospital in Summit, NJ, Tuesday. His wife, Marilyn, of 34 years, lovingly tended to him during his long battle with cancer. The couple resided in Springfield, with a second vacation home in Bay Head. They married in 1984. Louis was born in Brooklyn, N.Y., on April 7, 1942, where he lived with his parents Sophie and Dave Stiglitz and his older-sister Sheila. Lou attended George Westinghouse Career and Vocational High School in Brooklyn, and trained there as a carpenter with a specialty in cabinet making. Louis worked for 18 years at the World Trade Center. He retired from the towers in 1992 - nine years before 911. The event was particularly devastating to him because of his long employ in the buildings, where he knew so many people. Lou was a member of Local 257 Carpenter’s Union. Among his many tasks in the towers, he worked on custom woodwork in executive offices including the office of then Gov. Mario Cuomo. He fondly recalled that as a young worker in the Trade Center he had one of the best – and scariest views of the city – when he was assigned to help in the cleaning of the exterior windows of the tower and had to ride up the side of the building on scaffolding. He had a great love of animals. Among his favorite was his black lab Apache and the cats he and Marilyn raised together. Not one to choose favorites, Sadie, stole his heart. Louis and his wife Marilyn spent much of their retirement doing volunteer and philanthropic work. Louis was often photographed in local newspaper’s doing beautification projects within the Springfield area. He was a master gardener with an eye for landscape design. He was a longtime member of the Springfield Garden Club where he was an officer. He was also a member of the Springfield Historical Society and designed and built a garden at the club’s Cannonball House on Morris Avenue. Gardening was a labor of love for Louis. He raised hundreds of tomato plants of different varieties annually in his greenhouse and donated them to high school garden programs, the local church and friends and family. When the gardening season ended, Lou kept himself busy playing Santa for underprivileged children. He was the perfect Santa with his own full white beard, and a deep-throated laugh. Lou was especially fond of his children and grandchildren. He loved nothing more than to play games such as Dominoes, checkers and Jenga, with them. He also built them beautifully crafted wood toys including doll cradles, rocking horses, trains and trucks. Lou is survived by his sister, Sheila Nathanson; his two daughters, Sharyn Hancock and her husband Cheynne, Melissa Schrimo and her husband Paul; a step-son John Lang and his wife Colleen; grandchildren Andrew Wolf, Adam Wolf, Rachel Schrimo, and John and Cassidy Lang. A service will be held Thursday, December 6, at Higgins and Bonner Echo Lake Funeral Home, 582 Springfield Ave., Westfield, NJ, 11-1 p.m. Burial Services will follow at Beth David Memorial Park, 731 Memorial Park, Kenilworth, NJ. In lieu of flowers, donations may be made to the Seeing Eye, 10 Washington Valley Road, Morristown or www.seeingeye.org.